As I’m sure you probably know by now, New York Fashion Week starts today! I’m doing more than ever this season and I’m SO excited to take you guys along with me via Snapchat and Instastories (Snap name is astylishsideprj)! Today I thought I would share a little peek at what will be packed in my fashion week purse. The next few days are going to be LONG and it’s important to have the right items in your bag so that you can be prepared. These are my top 10 must-have items for NYFW! Business Cards – In my opinion, this is the #1 thing you need in your fashion week bag. While seeing the shows and events is fun, the best part about fashion week is the networking. You never know who will be seated next to you at a show! While you could of course swap Instagram handles on the spot, the service is usually terrible because so many people are on their phones. I always like to have a business card handy so they can easily look me up later. I get mine done here and LOVE them. Statement Sunnies – This is especially important during February fashion week. Since it’s so cold you will most likely be bundled up, meaning accessories are the only way to stand out! I love adding a fun pair of sunglasses to really let my style shine through. This season I’m loving this pair and this pair (both are just $50!). Comfy Shoes – I literally couldn’t make it through an entire day of fashion week in heels. If you can, more power to ya girlfriend. Teach me your ways! But if you’re like me, you’re ready to take those pumps off after about an hour. These shoes were my BFFs last season, and I know I’ll be wearing them all the time again this year. I also got this pair, and to be honest I wasn’t so sure about them at first – but it was love at first step! They’re way more wearable than they look. Makeup – No, I’m NOT saying bring your entire makeup case with you! But a little makeup for touchups throughout the day is a necessity, especially if you don’t have time to go back to your apartment / hotel in between meetings and shows. My touchup kit includes: Oil blotting wipes, concealer stick, matte powder, mascara, chapstick / lipstick, and a rollerball perfume. Portable Phone Charger – This is another really important item that often gets overlooked. While the fashion week venues always have AMAZING charging stations, I prefer to be able to charge on the go, on my own time. And trust me, between texting and Instagram and Snapchat and Ubers, your phone will lose its battery life before you know it. I love this charger – it lasts me about 2.5 full charges, which is plenty to get through the day. Pen and Paper – Yes, this may sound old school, but you can’t Snapchat, tweet, and write notes in your phone all at the same time. I like to circle outfits on the program that I really loved, as well as jot down quick notes about the trends I’m seeing. This is so helpful for when I’m writing about the shows later on! This little notebook is so cute and the perfect size for carrying around in your purse. Snacks – I don’t know about you guys, but I can go from 0 to hangry pretty damn quickly. It’s important for me to have a snack stash in my bag for when hunger strikes. Some of my favorites right now are Lara Bars (my fave is key lime pie), Cheddar Bunnies snack packs, and these fruit snacks. I thought about mentioning water, but the fashion week venues have great free drink options such as bottled water, sparkling water, and coffee! Be sure to grab one on your way out. Breath Mints – After you eat said snacks, make sure you have a mint or two before heading into your next show! The seating is often really close, and you don’t want to be breathing bad breath on someone. And I did choose mints over gum for a reason – no one likes the girl who’s chomping away on her gum! Hand Sanitizer – This is especially necessary during February fashion week because #fluseason, but it’s obviously important all year round. It’s NYC peeps, do I even need to explain why this is so important?? This sanitizer is my fave, it smells amazing and doesn’t dry out my skin. Big Purse – Where else are you going to put numbers one through nine? A big purse of course! I really like this option because it can be carried as a backpack or a cross body! And there you have it! Be sure to follow along on Snapchat and Instagram for all the fun this week! Having biz cards on you is seriously so important!!! Love all of your tips! 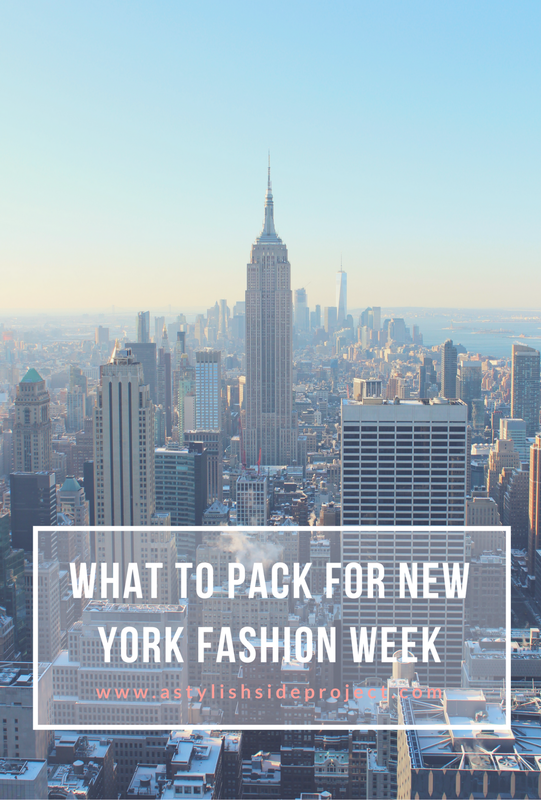 Can’t wait to follow along on your #NYFW adventures!! Hoping to make it to the September shows! 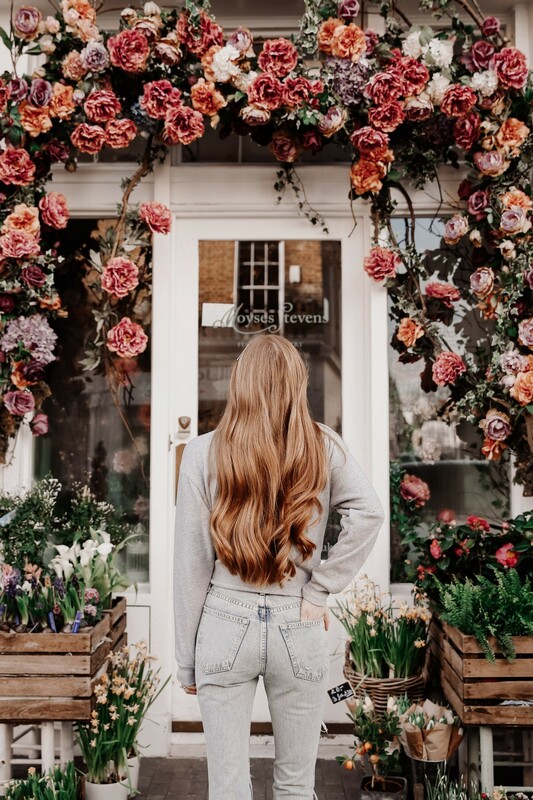 These tips are golden – thanks so much for sharing and have a fabulous time! Great essentials for NYFW! Have fun!! Love these essentials, makes total sense! I am constantly carrying a pad of paper and a pen for quick notes and ideas. Great idea! Hope you have so much fun this year! Great tips! Thanks for sharing. Enjoy NYFW! What a great list – comfy shoes are essential! Enjoy your trip. This is a great round up of items to take with you!! Hope you are having a blast, babe! Have so much fun at fashion week! Sounds amazing! I’ve never been but these are great tips! !